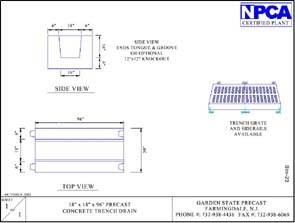 Garden State Precast is an industry leader in manufacturing precast trench drains. We offer several different size trench drains that can be made to work with a variety of trench drain grates. A precast trench drain can help solve your drainage problems, and installation is fast! Contact us for more information or a quote today.